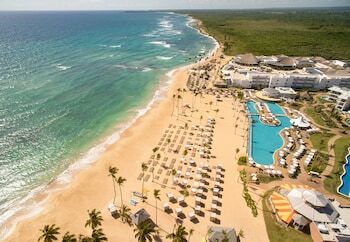 How Much Does it Cost To Fly To Punta Cana? 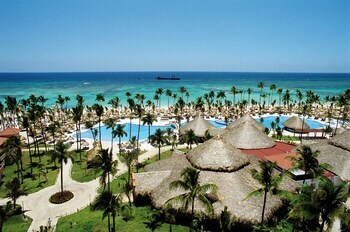 The cheapest flights to Punta Cana found within the past 7 days were $225. Prices and availability subject to change. Additional terms may apply. 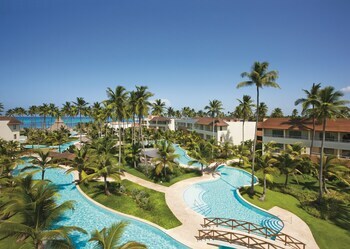 Welcome to Punta Cana, where the unspoiled blue ocean meets pristine beaches. As soon as you touch down at Punta Cana International Airport (PUJ) in the Dominican Republic, you'll realize why it's one of the island's top destinations. 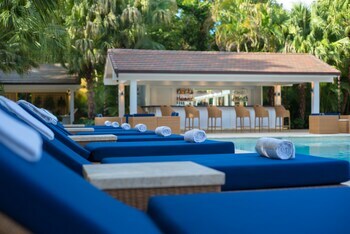 Located at Dominican Republic's eastern tip, this region of the Caribbean will make you feel like you're in paradise, whether you're enjoying the sandy coastline of Playa Punta Cana or the nightlife at the resorts. It's no wonder flights to Punta Cana are in high demand; it's simply an amazing place to let all your worries drift away. One of the most common ways to get to Bavaro or another destination in Punta Cana is to arrange a bus or van ride with a tour operator. Taxis can be found outside the Customs area of Punta Cana International Airport; though prices are set based on your destination, be sure to clarify your drop-off point and the price before departing. You can also rent a car from the agencies operating on site. If you're feeling adventurous, the bus is much cheaper but takes a lot longer; stops for certain routes are made along the main road outside the airport. Once you arrive at your hotel, it's time to play. Hopefully you've saved money by getting one of those cheap flights to Punta Cana; that way, you have more cash to enjoy yourself. Saona Island, Altos de Chavon, and the bustling Santo Domingo downtown are all worth seeing. You can also see everything from dolphins to parrots at Manati Park. If you want a thrill, take a helicopter tour, go surfing, try snorkeling, or ride a horse along the beach. 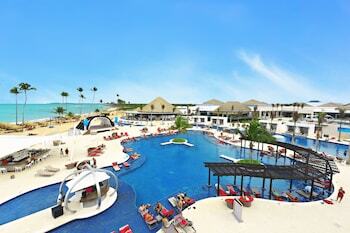 To ensure the trip is truly unforgettable, start by searching Punta Cana flights and lodging on Travelocity. 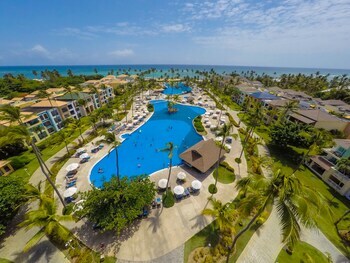 You can specifically search hotels near Punta Cana International Airport or along the beach, and you can book lodging and airfare together with one of the Punta Cana vacation packages. If you find a cheaper deal on another site, Travelocity offers a price match guarantee.